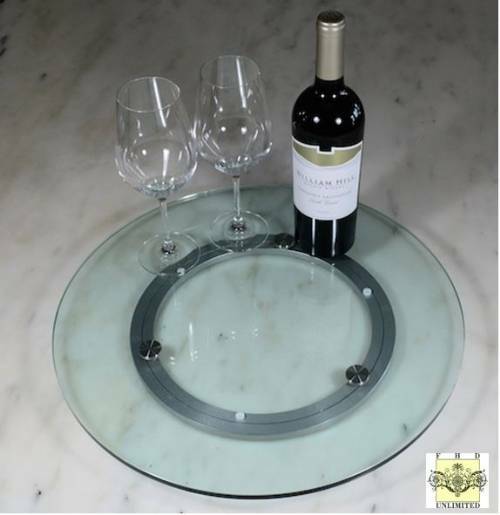 Glass Lazy Susan Turntable - 18" or 24"
This beautiful glass lazy susan style turntable is constructed of 3/8" jade tempered glass top bonded to a precision aluminum ring bearing. Perfect for serving at events, displaying items in a retail environment, showcasing your collectibles or your next wine tasting. The glass top of this display turntable can be light surface etched on either side of glass for instant customization. 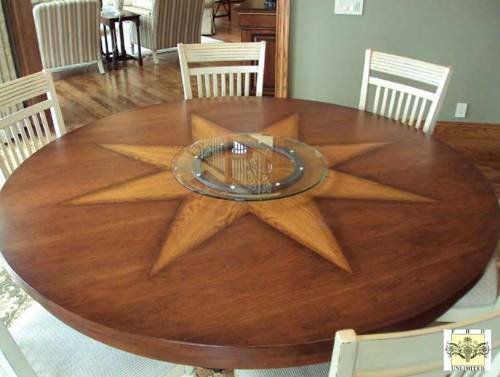 Select etched option below and email us your design. 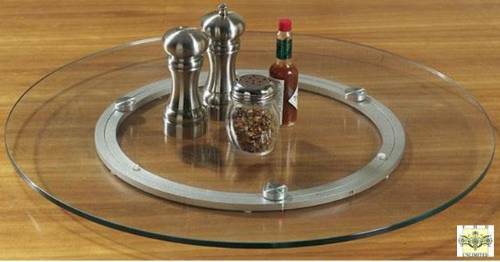 Available in 18" and 24" diameters to complement different table sizes. The 18" size can hold up 80 pounds, while the 24" size can hold up to 100 pounds. 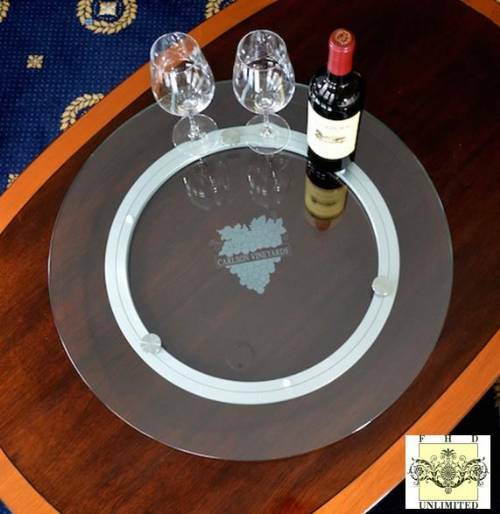 Sure to be a conversation piece on your table, buffet stand or coffee table, this elegant glass lazy susan would be a perfect housewarming, wedding or Christmas gift!